A News Corp split would leave Disney as the last true media conglomerate. NEW YORK ( TheStreet) -- The media industry may lose another conglomerate after News Corp. ( NWSA - Get Report) confirmed on Tuesday a report in its Wall Street Journal that the company may split into two companies, one focused on its newspapers and publishing businesses and the other on entertainment. While news of the split is a major development for Rupert Murdoch's media empire -- pushing its shares to a four-year high in Tuesday trading -- a decision to spin off businesses would also be a meaningful moment for the media industry. If News Corp. were to split, Disney ( DIS - Get Report) would remain the only major consumer media conglomerate left intact after a generation of consolidation and M&A that created sprawling media giants in the U.S. and Europe. 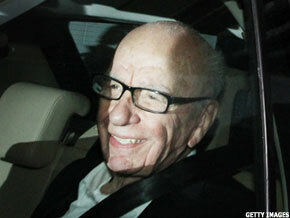 The split is being considered by an embattled Murdoch, who was told by a British House of Commons Culture Committee in May that a phone-hacking scandal at the company's British newspaper unit shows he is unfit to lead the media giant, which owns Fox broadcast network, Fox News, Twentieth Century Fox and a near 40% stake in British Sky Broadcasting. If News Corp. were to follow through on a separation of its publishing unit from its more profitable cable TV, broadcast and movie studio businesses, Murdoch would be appeasing calls by frustrated shareholders. Still, even as News Corp shares rally over 6% to $21.34, its prospective split and asset divestitures carried out my media conglomerates like Time Warner ( TWX and Viacom ( VIA - Get Report) in recent years have not helped any of their shares outperform Disney, which hovers near all-time highs. Disney's five-year outperformance relative to conglomerates that are slimming down highlights an interesting contrast within the media sector. Although M&A efforts in the industry have left a trash-heap of bad mergers, broken synergy promises and assets that perform better independently, signs of success in Disney's recent Marvel and Pixar acquisitions and its share outperformance signal the creator of Mickey Mouse may have uncovered a rare winning conglomerate formula. Previously, lagging shares and a hard-to-manage sprawl of assets led Time Warner ( TWX to spin off its cable systems and AOL ( AOL units in recent years, as the company focuses on content creation over distribution. Meanwhile, Viacom ( VIA - Get Report) spun off CBS ( CBS in 2006, in a move to focus on cable programming over broadcast media. Currently, reports indicate France's Vivendi is also looking to separate its amalgam of broadcast, telecom and video games assets. In the case of News Corp., the phone-hacking scandal and related arrests of top executives involved with the company's British newspaper business appears to be driving Murdoch toward a separation of its low-margin HarperCollins and newspaper publishing businesses from higher margin cable, broadcast and movie-studio units. If News Corp completes that spinoff it may mask that the split, "probably should have happened a while ago because of how poorly the newspaper business has performed," says Martin Pyykkonen, an analyst at Wedge Partners. Pyykkonen says the phone-hacking scandal, which has led to over 50 arrests, including ex- News of the World editor Andy Coulson and former News International CEO Rebekah Brooks, would be seen as a catalyst for what is ultimately a business decision that could draw a a fuller share valuation for News Corp's array of assets. In the past nine months as of March 31, News Corp reported that over 70% of its annual profit came from broadcast and cable television, with that unit and its films business contributing roughly $4 billion to its bottom line. Combined, the company's cable, broadcast and studios businesses have a profit margin of over 25%, while profit margins at its publishing unit hover near 8%. News Corp's entertainment businesses earned $23.5 billion in revenue, while the publishing unit posted $8.8 billion in revenue, as of the year ended in June 2011. The split may be a strategy for News Corp. to keep its investment in British Sky Broadcasting, as U.K. regulators question whether the company should retain its 39% minority stake. The phone hacking scandal led News Corp. to abandon efforts to take control of the pay-TV operator, which is the largest in Britain. Murdoch built News Corp. through the company's newspaper assets, which currently include The Times of London, The New York Post and HarperCollins' book business. News Corp's publishing unit contains Dow Jones, the owner of the Journal, after a $5 billion 2007 acquisition. Fueled by split up considerations, stock buybacks, and a string of management changes, News Corp's shares are up over 25% in the last 12 months. Still, even with expectations of drastic change, News Corp's one-year share gains match those of Disney, which is pushing ahead with a conglomerate strategy, while expanding into new markets and media platforms. Over the past five years, Disney has posted a near 40% return, trumping share losses in the Dow Jones Industrial Average and at News Corp. Disney's also outperformed media giants like Viacom and Time Warner, even after they executed on spinoffs that were widely considered shareholder friendly moves. Cable giant Comcast ( CMCSA - Get Report) is the other notable M&A aggressor in media creation and distribution after it bought a 51% stake in NBC Universal from General Electric ( GE, in a blockbuster deal to move into content creation. Notably, unlike News Corp. and Time Warner, Disney doesn't have printed media businesses like newspapers or magazines. A continuation of Disney's outperformance may validate the company's strategy to use characters and intellectual property to drive synergies and revenue opportunities throughout its empire of cable and broadcast TV, movie studio and theme park assets. Such an M&A and conglomerate-based outperformance would be a stark contrast to recent media industry spinoffs and a widely held rejection of the industry's previous attempt to own disparate media assets as a driver of profitability. From 2000 to 2009, the largest media conglomerates wrote down $200 billion in assets as a result of a bad acquisitions and misguided 'strategic' investments, according to The Curse of the Mogul, a sweeping study on why an overstretch of C-Suite ambition has destroyed shareholder value throughout the industry.